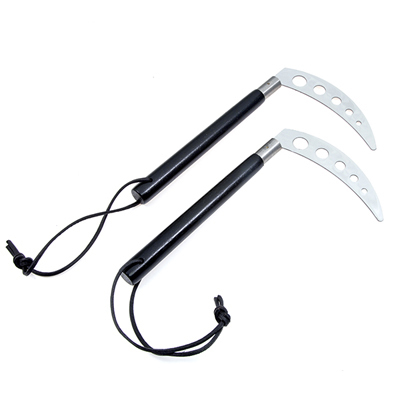 Black Competition Kamas. Beautifully black stained 10 inch long wooden handles with 7 inch polished, vented steel blades. Leather thong wrist cord.